This trailer is a GTO 7 foot luggage trailer with 13 inch wheels. It is bigger than the elite 6 which has 10 inch wheels. 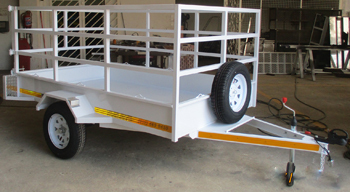 The 30TR general purpose trailer is 3m long, 1.5m wide with a load capacity 500kg. 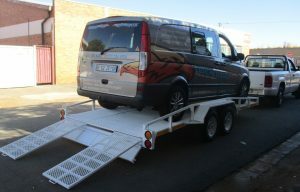 A Flat bed Trailer for transporting cars. A 1 Ton Trailer for transporting furniture. A 2 Ton Trailer for transporting furniture. 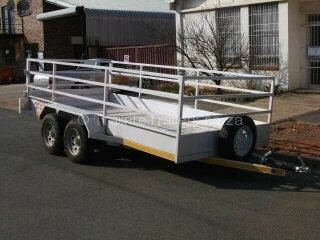 Trailer to transport general house hold items, boxes, crates, beds, fridges or for any other general purpose use. We offer daily, weekly and long term trailer rentals. Our rental fleet are well maintained and service regularly ensuring that your journey in safe and hassle free. 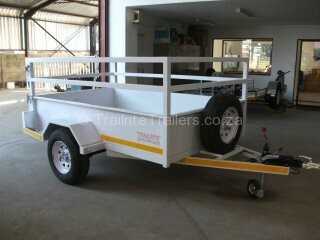 All rental trailers need be collected and returned to our offices in Johannesburg during office hours. 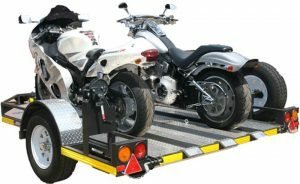 Trailrite has an extensive range of rental trailers including motorbike trailer rentals, visit our Quick Loader website at www.quickloader.co.za for more information on our motorbike trailer rentals.